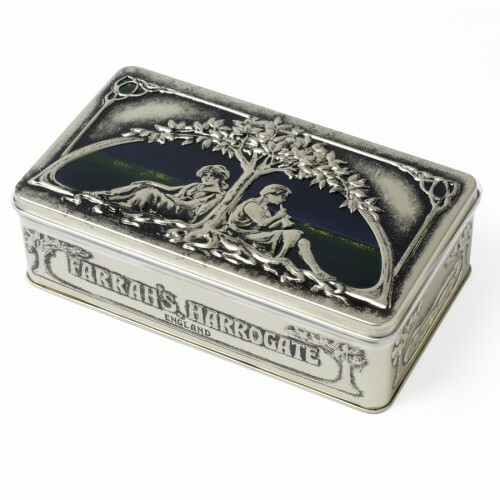 Peer inside Farrah's Art Nouveau Gift Tin to discover luxuriously soft, crumbly butter fudge made to a family recipe. The elegantly detailed tin is a replica of an original Farrah's design, which was first created and registered in 1910. This stunning gift tin and its famous contents are sure to impress.